Former New York Mayor Mike Bloomberg tried to curb-stomp his downtown billionaire rival, Donald Trump, by slashing at his business record. Bloomberg’s pitch was likely aimed at upper-income voters and business leaders who dislike Trump’s populist campaign which has reduced their influence and status in the GOP. “I say to my fellow independents — your votes matter now… there is no doubt in my mind that Hillary Clinton is the right choice this November,” he said from a blue-gray podium almost devoid of American flags. Bloomberg has been a Democrat, a Republican and an independent — but he has also always been an international progressive who prefers government cooperation with business enterprises to Trump’s mix of populist nationalism. “The richest thing about Donald Trump is his hypocrisy … he wants you to believe we can solve our biggest problems by deporting Mexicans and keeping out Muslims … he’s wrong … we can only solve our biggest problems is we come together,” said the progressive billionaire. 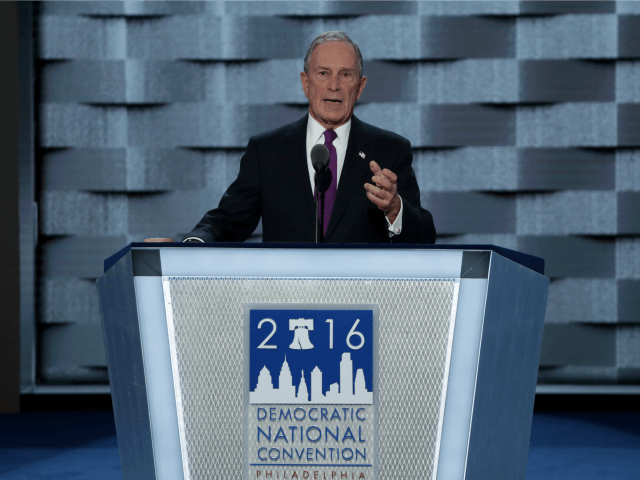 Bloomberg extended criticism of Trump’s business record is likely a prologue to the Democrats’ tall offensive against Trump.